ATTENTION, Czech Republic! 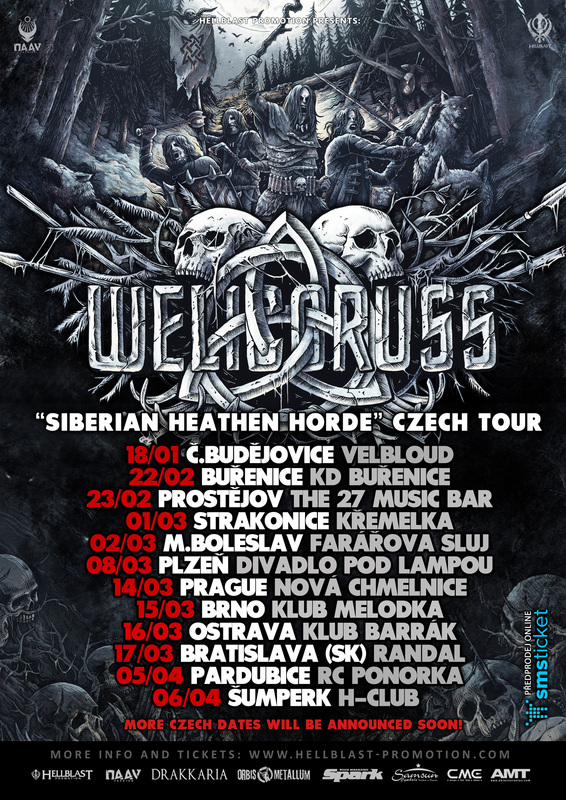 Very soon WELICORUSS is going on Czech Tour will start in 12 towns (Hellhammer fest is just a part of it) where they will play new show „Siberian Heathen Horde“! Be prepared, add yourself and your friends to those events and grab your ticket now!